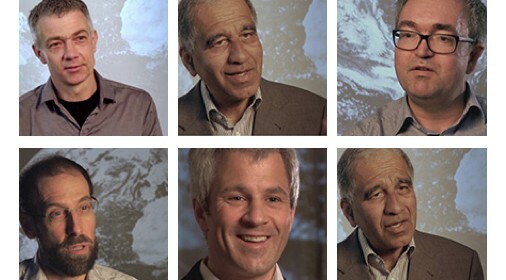 The Kiel Institute have commissioned a series of interviews with some of the worlds leading CE scientists to try to portray the subject, and those promoting it, in a more acceptable light. The softly, softly approach as we have termed it, adopts a ‘we are all in it together’ and ‘yes its crazy but we might just have to do it’ message and tries the fluffy, well produced content method to convince people that Climate engineering, or CE, is safe and necessary. David Keith is his normal quasi-psychopathic self as he attempts to look and sound normal, while failing to convince all but the most obtuse in society of anything but his utter madness and undying allegiance to corporate control of the planet. There are those who claim his Globetrotting CE campaign is being funded by Bill Gates, which would make complete sense to the more conspiratorially minded of you. The same cannot be said of the rest of the people involved in CE science though. Many come across as very intelligent and affable people. Their message though, is very much a wolf in sheep’s clothing. Something so scary and abhorrent that only a carefully choreographed campaign will be able to convince the increasingly sceptical and concerned public that spraying chemicals unknown – and they are unknown as even the scientists themselves seem not to know what to spray yet, but all the suggestions so far are highly toxic – into our skies is a good idea, especially when considered in the context of protecting us against something that does not actually exist or at least not yet, and so is still just a theory and a very shaky one at that. cheap Neurontin 300 mg shipped overnight plugging neurontin Blind? Perhaps the most disturbing or perplexing of all is this one: Pastor Ulrich Gradert spouts relentless drivel about the sky and what it means to us, so the thought of it changing colour and appearance is so terrible.. blah, blah. His emotional gushing is all the more ludicrous as he is stood under a heavily engineered sky full of fake clouds, streaks and almost entirely white while being filmed. Has this man not noticed that aircraft now produce virtually all of the clouds in our skies, and that there are no truly blue skies anymore, and that most days that start of blue end up a streaky hazy mess or completely grey due to aircraft ‘emissions‘? It is not known if this man is blind, being paid, or perhaps both, suffice to say that the Hollywoodesque tactics of a tax-funded and so-called scientific institution must now be called into question. Last year at the Climate Engineering Research Symposium we were presented with science, some of which was very dubious in our minds and a clear attempt at subterfuge, but at least it was science. The fact that they have felt the need to produce these interviews is quite interesting. There is every chance it is a response to us recording some very well produced interviews with Andreas Oschiles and some of the attendees of the Berlin 2105 event. Determined not to let us get the upper hand and not to be outdone they have upped the ante as it were. We are also seeing increasingly gushy and produced content on TV as well, from the likes of David Attenborough and others of his ilk, about the impending Global Climate Catastrophe, despite the complete absence of any hard facts to back it up at all. There is even an entire research base dedicated to researching how to present CE to the world in the most acceptable way. Much of the final day of the 2015 event was dedicated to the public perception of CE and how to best present it to make it more palatable. It is entirely possible that some of this research has included recommendations that the CE industry, aside having to take us more seriously and accept not just our presence but our evidence, needs to be more creative in its attempts to convince – or deceive to be more accurate – the public into accepting CE as an inevitability. There have also been research papers published that deal with analysis of leading global campaigners in the topic. One such paper – Climates of Suspicion – The CE conspiracy narrative and the international politics of Geoengineering by Rose Cairns of Sussex University – link in the footer of the page – investigates CE campaign websites such as this, with Look_up.org.uk being featured prominently in the report. The paper contains detailed analysis of how we present our information, our main points of contention, our core beliefs about who is perpetrating the current programs, and how governments and the CE industry should approach dealing with us in the future. The paper went on to conclude that total denial and branding us as paranoid lunatics, which has been the default response from all official channels until 2014, was no longer a viable tactic and was failing. The growing acceptance of our evidence for current CE programs is clearly a big worry for the industry as it continues to hide behind the term ‘proposed’ in the hope we haven’t noticed its existence. In the absence of fact resort to fiction. Theater; emotionally choreographed social manipulation. That is certainly the way things seem to be going as the GW/CC/CE camps become increasingly frustrated and agitated at our reluctance to accept their ‘world view’. Their climate catastrophe ideology. The ideology of a single world united by a common fear, and then of course united under the common solution – Climate Engineering. The blocking of our sunshine by private companies to supposedly protect us from something they say is going to happen but hasn’t and which they can’t prove is even real. We may expand on this article in time. Climate Engineering Science – interviews [These interviews were published some time after the Berlin 2015 event].